FAQ's » Orchid of Siam - UK Visas for Thai Nationals, Appeals Tribunal Help/Advocacy, Immigration Law Advice, Bangkok & Epsom Offices. What services does Orchid of Siam offer? For details of our services, please click on the links on the left-hand side of the page. How will you deal with my case? Upon initial contact we shall give you a general assessment of your circumstances. Should you wish to formally instruct us, i.e. ask us to help with your case, we shall issue you with a client care letter that sets out what the instructions are, what our fixed fee is and our general terms and conditions. We would invite you to accept the contents of the client care letter, whereupon we would be formally instructed and can take the case forward from there. Do you only deal with nationals of Thailand? No. We deal with any nationality requiring a visa for the UK or making an immigration application from within the UK to the UK Border Agency/Home Office. Do I need to come to see you? Orchid of Siam is committed to fully utilising the benefits of modern technology and communication. In most instances there is no need for you to meet us in person. However, should you wish to put a face to the name, please feel free to contact us to arrange an appointment. Yes. We take client confidentiality extremely seriously. No personal information is stored on our computers and no information is ever paased on to a third-party without your express written consent. The OISC regulates us and we are subject to an annual audit of client's files. The OISC conduct a stringent criminal records search of all registered advisers. As you will be supplying very personal information such as your passport, bank statements, NI number etcetera you want to rest assured that you are not passing this information to an unqualified or unregulated firm who may steal your identity. Some agencies guarantee to get a visa or give my money back. Do you offer such a guarantee? No immigration adviser or lawyer can guarantee that an application will be successful. In our experience, those who offer such a guarantee seldom live up to the promise. What sets Orchid of Siam apart from other advisers? Please take the opportunity to have a look at our testimonials. Additionally, we are registered with the Office of the Immigration Services Commissioner (OISC) for the provision of immigration advice and services. In the unlikely event that we fail to live up to our promises, we are accountable to the OISC for our actions. Unregistered advisers have no such responsibility. We are members of the Immigration Law Practitioners Association and have been established since November 1988. 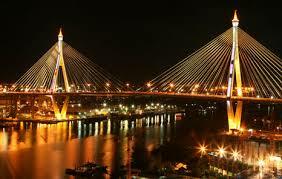 We are the only OISC registered level 3 firm with offices in Bangkok and the UK. We are also members of the Joint Council for the Welfare of Immigrants who campaign for the rights of newcomers to the UK. If I think I can prepare my case by myself, but I might have a question to ask. Can you answer my one-off questions over the telephone or by e-mail? Normally we can but there is a small fee payable. Can Orchid of Siam help with my appeal? Yes, both in our UK and Bangkok offices we have Thai translators. In the UK our manager also works as an English/Thai interpreter for the Home Office and UK Border Agency. How can I be sure you are trustworthy? We are registered with the OISC, the UK government department that regulates firms offering immigration advice in the UK and qualified by examination to the highest level (3). We publish all the costs involved on our website whereas others do not. We publish our director’s full names, addresses and landline telephone numbers on our website whereas many agencies do not. Many testimonials from satisfied clients may be seen at our offices. Please check our credentials at the OISC or ILPA website. We do mean please check as we are very well aware of other firms in Bangkok and elsewhere in Thailand which falsely claim to be OISC registered and even copy the OISC logo and a registration number but who have absolutely no qualifications at all - you do not want to use them! !